Joining a very scarce landscape of commercial hydrogen refueling stations in the United States, Shell has added a third to their alternative energy evaluation. Joining a West Los Angeles and Culver City, the Torrance, California Shell hydrogen fueling station will embody a first for their US demonstration facilities in the United States. This newest hydrogen refueling station is unique that it is built on an existing pipeline. An ideal solution to the difficult problem, the use of a direct hydrogen pipeline connected to fueling pumps. Promising a constant, rarely interrupted flow of hydrogen, the special Shell station also resolves the more complex problem of transporting the fuel. Unlike gasoline, hydrogen is a true gas substance requiring unique handling including the careful management of mobile pressurized containment tanks. Capable of supplying hydrogen containment vessels storing the fuel at pressures of 5,000 and 10,000 PSI, the Shell facility will be supplying California’s active but still very spartan fleet of fuel cell vehicles. The Honda FCV Clarity uses a fuel tank held at 5,000 PSI while special versions of the Chevrolet Equinox called the Fuel Cell EV and an upcoming Hyundai Tucson FCEV use 10,000 PSI storage tanks. Volkswagen, Mercedes-Benz and Toyota are additional vehicle manufacturers providing fuel cell production or evaluation products in the United States. As the Shell hydrogen station opens in Torrance, the two pumps is set to service 10 to 12 drivers daily for their fueling needs. As of this year, information from the California Fuel Cell Partnership indicates there are only 7 operational hydrogen fuel supplying stations currently available in the United States for the leased fuel cell or hydrogen combustion vehicles (all but one facility is located in California). There is also hydrogen stations set up serving private and fleet vehicle lines. Though current hydrogen infrastructure remains very light in the United States, there is some cases for optimism for the alternative fuel source. In 2008, General Motors’ then Vice President, Research & Development and Strategic Planning Lawrence D. Burns delivered a speech citing a Hydrogen Fueling Infrastructure Assessment report painting a positive picture. The General Motors report made a bullish case for hydrogen feasibility implying that the fuel source could be provided on a competitive level with gasoline or diesel if infrastructure is developed. Information published in a 2010 report under the United States’ Department of Energy shows there is still cost reductions needed for making hydrogen production suitable to the profit-driven environment. 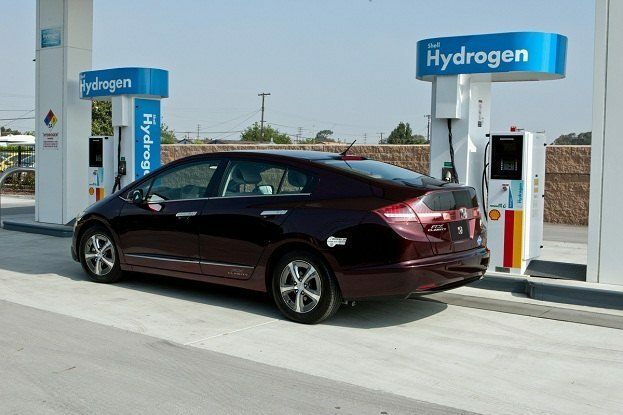 With several options for producing hydrogen available, current production cost of a quantity equivalent to the gasoline is no better than $2.50 in the United States. However, this Department of Energy annual report also predicts the cost of hydrogen production will drop by 25 percent by 2016. Within the details of the speech, GM’s Burns had also voiced concern that their was little motivation by developing hydrogen availability to the next step. Not limited to the United States, commercial hydrogen infrastructure is slow in development any where on the global transportation scene. Shining a light into an ideal hydrogen environment where 12,000 refueling stations are allowed to be placed strategically in the United States, GM’s Hydrogen Infrastructure Assessment report says that 70 per cent of the American population could be placed within two miles of a fuel pump. Calling it a one of several small options for reducing automotive emissions, General Manager of Operations for Shell Alternative Energies Julian Evison describes the energy company‘s desire to learn from the early involvement for hydrogen supplying. “Demonstration hydrogen filling stations allow us to evaluate a range of different technologies and learn valuable lessons about costs, consumer behavior, how to safely store hydrogen at different pressures and how to dispense it efficiently to different vehicles.’’ Evison says. 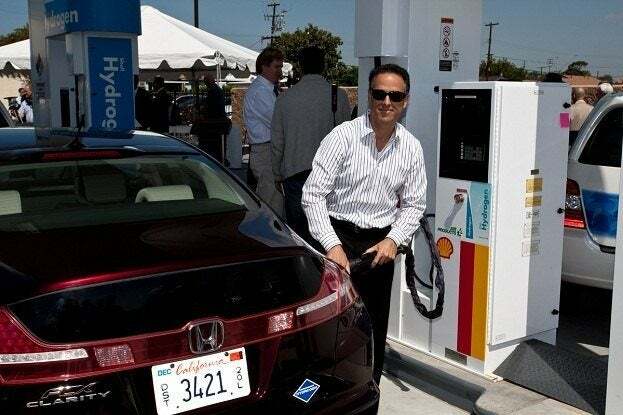 No Comments on "Hydrogen Refueling Stations Slowly Sprouting in US"